With one quiet policy change, the federal government has given those who protect animals a powerful new tool for fighting cruelty. 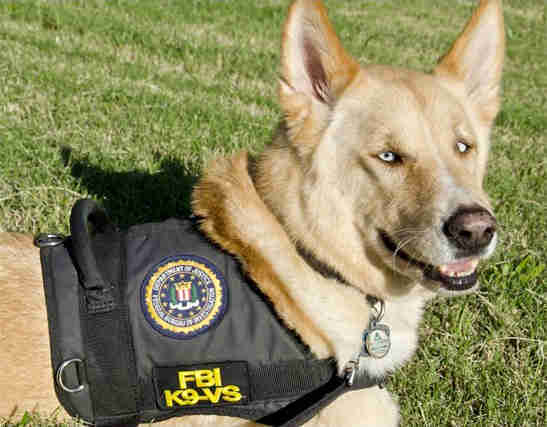 Starting this month, the Federal Bureau of Investigation (FBI) will begin tracking four types of animal abuse in their national crime database, providing law enforcement with an accurate portrait of cruelty to animals in America for the very first time. Previously, all animal abuse cases were lumped in with mostly minor crimes as "other offenses" in the agency's reporting system. Now, neglect, torture, organized abuse and sexual abuse of animals will be classified as "Group A" offenses, requiring police to report such cases to the FBI as they would other major crimes like assault and murder. "No longer will extremely violent cases be included in the 'other offense' category simply because the victims were animals," wrote Humane Society of the United States (HSUS) President Wayne Pacelle in response to the change. "Just as the FBI tracks hate crimes and other important categories, we will now have critical data on animal cruelty." In addition to helping police more effectively allocate resources to combat animal abuse, the data will finally allow policymakers and researchers to examine cruelty at a national and state-wide scale when the data is made public next year. 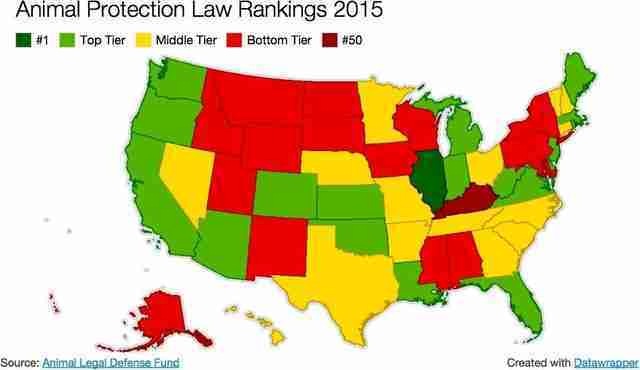 The ALDF's annual ranking of animal protection laws. The change was made at the urging of the Animal Welfare Institute (AWI) and the National Sheriffs' Association (NSA), who recognize violence against animals as an early indicator of violence against humans. Last year, a researcher with the American Society for the Prevention of Cruelty to Animals (ASPCA) told The Dodo that physical abuse of children was preceded by or concurrent with animal abuse in 90 percent of families studied. "The change instituted by the FBI formally recognizes the seriousness of animal abuse crimes and their negative impact on the welfare of society," said AWI President Cathy Liss. "The data that will become available as a result of this change will help law enforcement better understand and respond to these types of crimes, which occur alongside many other forms of violence and criminal activity." What the FBI's new policy will not do, however, is turn animal abuse into a more serious crime or create a registry of animal abusers. Such changes are typically made by county or state governments, like Tennessee, which became the first state with public registry of animal abusers this month. To learn more about the AWI's work and how you can help protect animals, visit their website here.